With its REC acquisition complete, Duke Energy Renewables steers the company toward corporate customers, asset ownership and even microgrids. Since Duke acquired REC Solar, the two have worked on microgrid projects and a solar farm in Hawaii. 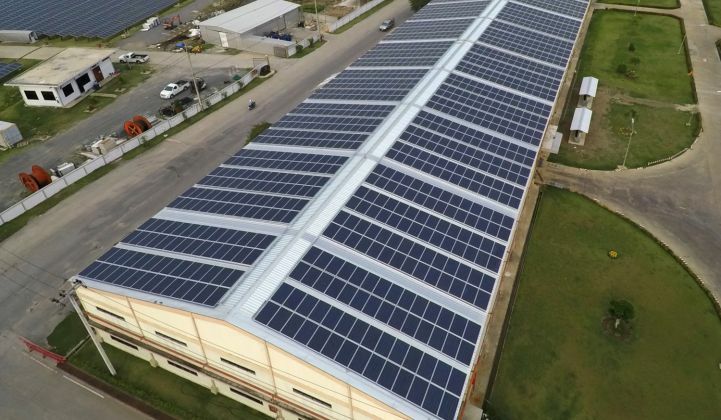 REC Solar’s project capacity is still catching up with its refined strategy, about six months after Duke Energy Renewables fully acquired the commercial solar developer. According to GTM Research, the company installed 1.5 megawatts in Q1 2018, compared to 14 megawatts in the same time frame last year. It’s REC’s slowest quarter since mid-2015. Taken together with 2017 installations, REC’s ranking fell to No. 12 among commercial developers, compared to its third-place ranking at the end of 2017. GTM Research Senior Solar Analyst Michelle Davis said the quarterly dip in installations doesn’t necessarily indicate trouble for REC, since commercial markets can be lumpy quarter-over-quarter. Instead, she said it further supports REC’s Duke-fostered pivot to focus on corporate offtakers and project ownership. “Since REC focuses on the California commercial solar market, and has historically focused on agriculture customers, this low quarter points to potential saturation in that customer base and gives further justification to its shift toward corporate customers where there is likely more appetite for solar,” said Davis. REC’s CEO Matt Walz — formerly of Duke Energy Renewables — said growing corporate interest in clean energy was the original impetus behind Duke’s investment in REC. Integrating REC reflects an evolution from within Duke Energy Renewables, as the company shifted away from serving other large utilities toward a focus on corporate buyers. Tammie McGee, lead communications manager for Duke’s commercial portfolio, said REC’s position in the market allows the company to work on small rooftop arrays for parking garages and headquarters, as well as larger-scale projects. McGee points to two microgrid-as-a-service projects in Montgomery County, Massachusetts as examples of successful collaboration that have been carried out since the acquisition. The first, completed in April, is a 520-megawatt-hour project at Schneider Electric’s North American headquarters. That type of project demonstrates the mutually beneficial relationship promised by the acquisition. Davis reported in a December research note that the acquisition offers each company the ability to cross-sell services, including Duke Energy Renewables’ microgrid and storage developments. Duke Energy Renewables currently owns and operates over 3,000 megawatts of large-scale battery, solar and wind projects. The two firms are also working on a 20-megawatt solar project at the Pearl Harbor-Hickam West Loch Navy base in Hawaii. REC wants to avoid becoming a “single-solution-driven organization,” according to Walz. Together, he said Duke and REC offer an “umbrella of options” for corporate offtakers. Since December, REC has discussed integrating sales and marketing efforts with Duke and experimented with how to better coordinate customer engagement. Davis suggested REC can reduce its operating expenses by taking advantage of Duke’s back-office setup, streamlining projects and helping REC focus on its customers. Nuances in the state-centric commercial solar market can slow down projects, but Duke’s backing may help REC adapt to those changes as it looks to enter new markets. The company is also pivoting to more ownership under Duke’s influence. In 2018, REC began owning its own projects, and in Q1 GTM Research ranked the developer as a commercial solar asset owner for the first time. Although its small portfolio, under 500 kilowatts, puts REC in 10th place, Davis said the move aligns the company with the market. “REC's shift is in line with a recent trend of more developers owning their projects. As competition tightens and distributed solar margins compress, developers want to capture more value from their projects by owning them,” said Davis. In a November report on commercial solar ownership, Davis noted that the portfolios of owners that self-develop projects — such as NextEra and NRG — are growing faster than those that acquire projects. Developers including AES and Engie are also reaching into earlier development stages to take advantage of the potential to streamline development and control their project pipeline more directly. Upcoming quarters will determine whether that sophistication will translate into profit for each partner.